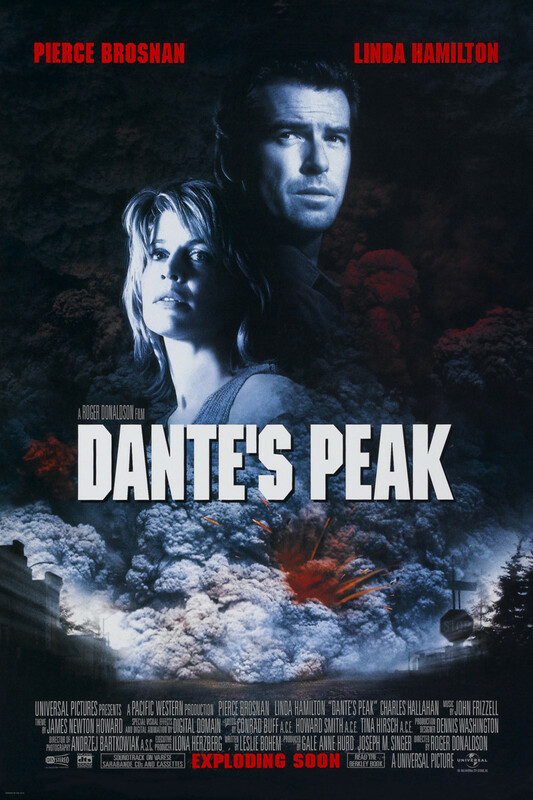 Scientist Harry Dalton is sent to Dante's Peak in the Cascade Mountains to investigate some unusual seismic activity. Picking up more clues, Harry thinks the volcano is set to erupt and wants to warn the town. Mayor Rachael Wando believes him, but the city is in the midst of a celebration and Harry's boss does not want to risk the economy of the small town. Just as Harry has convinced his boss to warn the city council, the volcano erupts in a violent fury. Harry and Rachael must escape the exploding volcano and rescue Rachael's ex-mother-in-law as well as Rachael's two children who are trapped on the mountain.